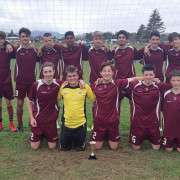 Waihi College 1st X1 attended the Thames Valley Tournament in Katikati and came out over all winners bringing home the Trophy ! With a penalty shootout needed to decide the outcome between KatiKati and Waihi the competition was intense. Well done boys and a big ups to the ring-ins needed on the day! !